The thyristor-controlled power supplies and battery chargers present the conventional method of rectifying and controlling electric power. The advantages of thyristor-controlled units a given by a simple technical concept resulting in robustness and reliability. 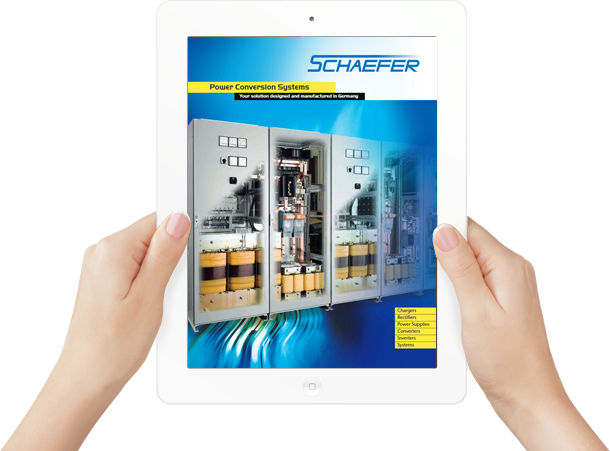 of SCHAEFER represent the conventional method of rectification and power control. The benefits of thyristor-controlled devices through a simple technical concept resulting from robustness and reliability are significantly.